From rugged volcanic mountain landscapes, down through rich farmlands, to dazzlingly white sand beaches, and finally onto stunning submarine coral reefs, the Philippines archipelago has a fantastic range of beautiful places. 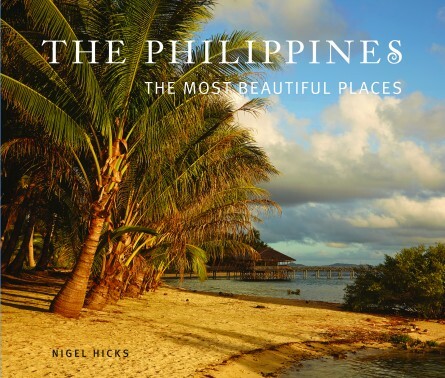 Covering Luzon, Mindanao, Palawan, Mindoro and the Visayas, Nigel Hicks presents his personal pick of the best of both the natural and the cultural landscapes, illustrating the superlative sights with his vibrant photography. With over 7,000 islands, coastal scenery figures prominently in the list of the country’s most important landscapes but inland there are rugged mountains and the incredible rice terraces, sculpted by humans some 2,000 years ago. Beautiful in its own right, this book provides a portfolio of images and a fascinating text to provide a lasting memory of a trip to the Philippines. Devon-born, Nigel Hicks has lived for many years in Southeast Asia and is a frequent visitor to The Philippines. Now working as a freelance writer and photographer, his work has appeared in numerous magazines and publications around the world and he has written and photographed a number of books about the country, including Enchanting Philippines, This is the Philippines and The National Parks of The Philippines. He has recently been awarded a Fellowship by the British Institute of Professional Photography (BIPP).